The Marvel momentum is showing no sign of abating. 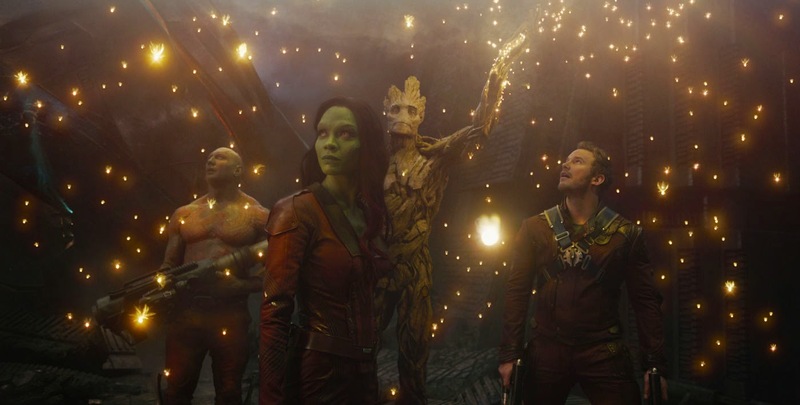 Some might have thought they had reached their peak with the mega hit Avengers Assemble, yet the last twelve months have seen them deliver three films in rapid succession which all met with commercial and critical success: Iron Man 3, Thor: The Dark World Captain America: The Winter Soldier... and now comes Guardians Of The Galaxy. Guardians Of The Galaxy is their riskiest offering to date. Featuring some characters totally unknown to the public (and even my comic book fans friends knew little of them), with a cast of largely unknown (with the biggest names to be found in supporting parts or providing a voice-over), it is also an all out escapade in space, whereas their previous films, even Thor 2 and its different realms, remained largely Earth-centric. Add a gun-totting talking raccoon with an attitude (something the creators of Poochie might have dreamed of) and a humanoid tree among its lead characters, and this sounded like an impossible trick to pull. So have they succeeded with their seemingly impossible task? Yes, a resounding yes. The film is pure joy, striking the perfect balance between action and comedy and fantastically entertaining, without trying to be anything else than that, in an age of overlong and too serious blockbusters. And there has a B-movie charm to it (with a certain cameo which I won't spoil a nod in that direction), with its eccentric costumes and colourful set design. Just like with Marvel's previous films, it shows the utmost respect for its audience and that blockbusters do not have to be dumb. 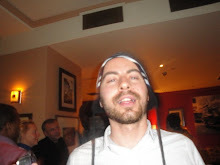 Oh and did I mention that it is funny? Riotously, laugh out loud funny, making it the kind of experience that must be enjoyed in a packed cinema. Yes there are CGI effect galore (and plenty of awe-inspiring space vistas), but it never feels like they overwhelm the film and its characters. On the contrary, the five leads with their group chemistry and banter is once again after Avengers Assemble, what makes the film. It might be an unlikely motley crue of small time crooks and bizarre non human characters, but against all odds it works. There are some real zingers in the dialogues (a bold, risqué joke made me gasp! ), and they all display an abundance of charm and screen presence, in an age where too often cardboard thin characters prevail. The film has many highlights, some great action set pieces (including a brilliant prison escape), and many scenes which I won't spoil but the kind that you can't wait to tell your friends about it once you come out. It is also refreshing to see the potential start of a new franchise which does not fall prey of the usual origins story traps. Yes it introduces the new characters but it never feels like just an appetiser for bigger things to come, it is its own film in its own right. taking us right into the core of the action from the start. Yes there are a few niggles. Aside from Loki, Marvel has not managed to creatre a memorable villain to screen and this is no exception. 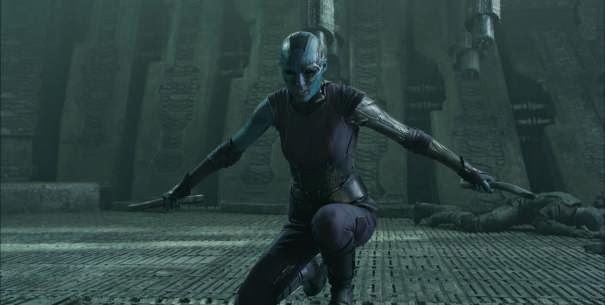 Despite her striking appearance, Karen Gillan as Nebula is given very little to do and as such is a bit one note, which is a shame as her conflict with Zoe Seldana could have been more developed. And the main villain is totally forgettable, and pretty much interchangeable with the one from Thor 2. It is such a shame as the post credits stint after Cap America had lead me to believe Benicio Del Toro as The Collector would be the foe but he only has one scene, in which we see hints of what a great characters he could be. Also, the climatic third act feels pretty much interchangeable from the ones Avengers Assemble and Thor: The Dark World. But this is knit-picking, I cannot deny the enormous fun you have while watching this. I sincerely hope that despite its relative oddness, Guardians Of The Galaxy finds it audience, when so few studios are willing to take risks these days, as I cannot wait to see the Guardians of the Galaxy on screen together once more. Oh and the end credit stint? Well, we did not see it, as I understand it is being kept exclusively for Comic Con before the films comes out. I guess I'll just have to go and see it again by then, which I am totally fine with!